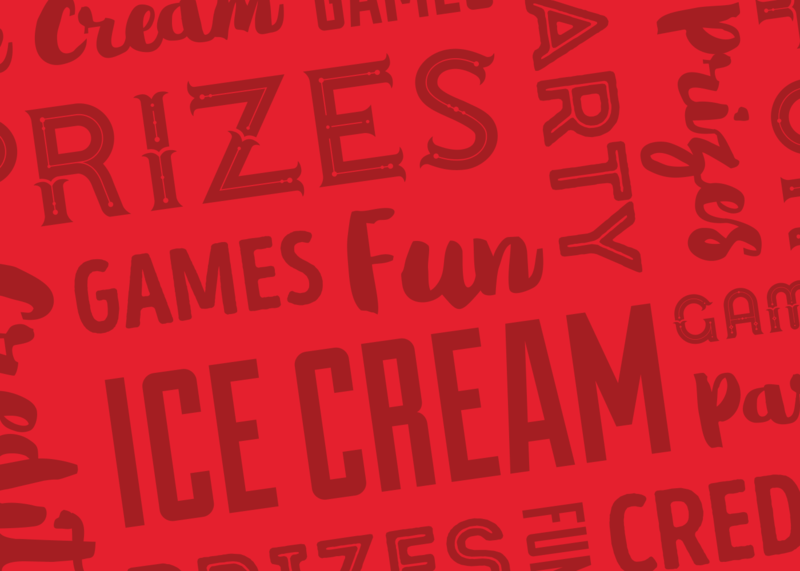 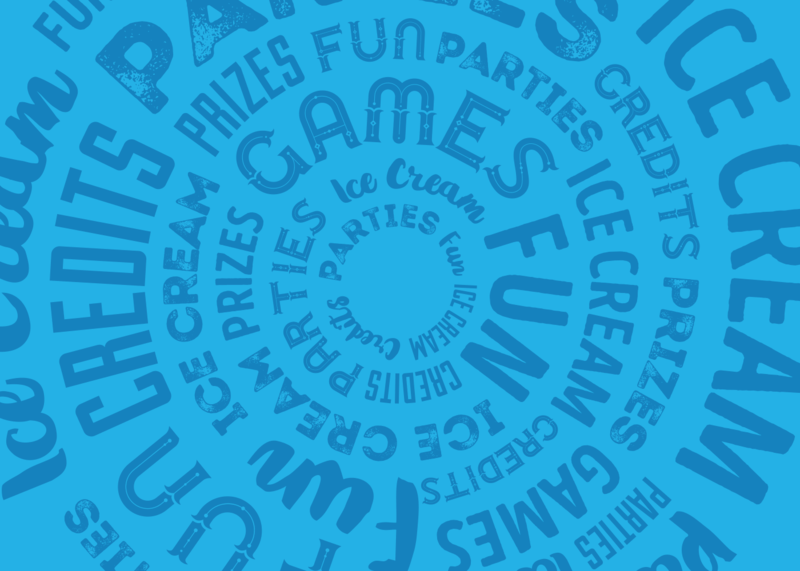 Games, Ice Cream, & Fun! 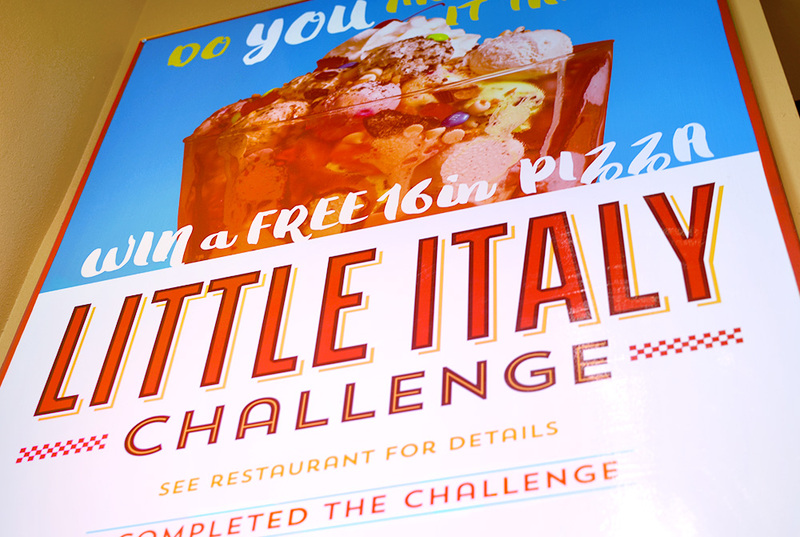 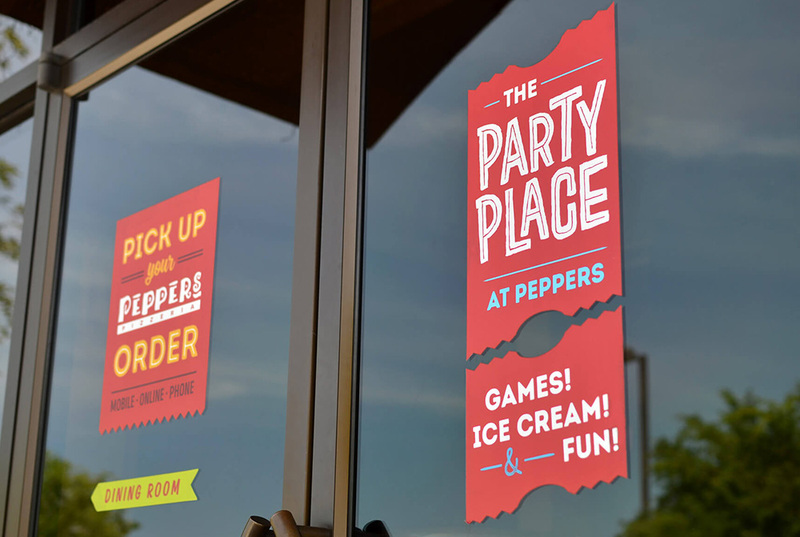 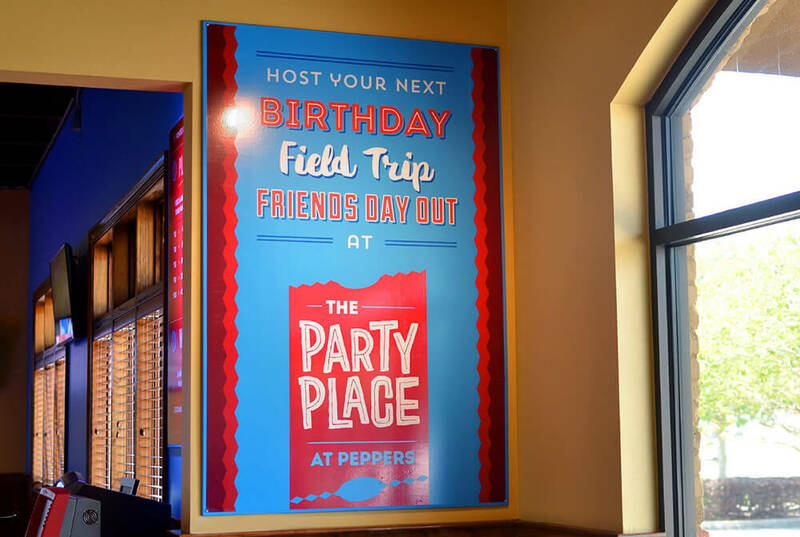 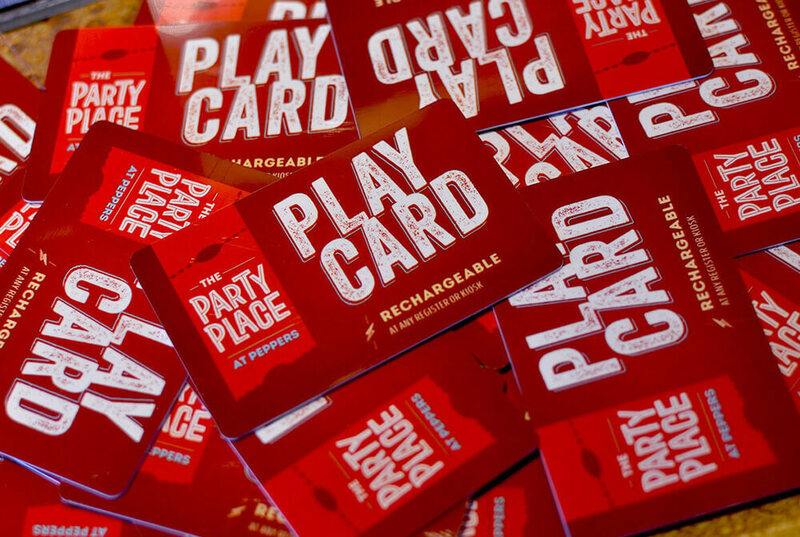 When Peppers Pizzeria opened its second location in Houma, LA, back in 2008, a new brand also emerged: The Party Place. 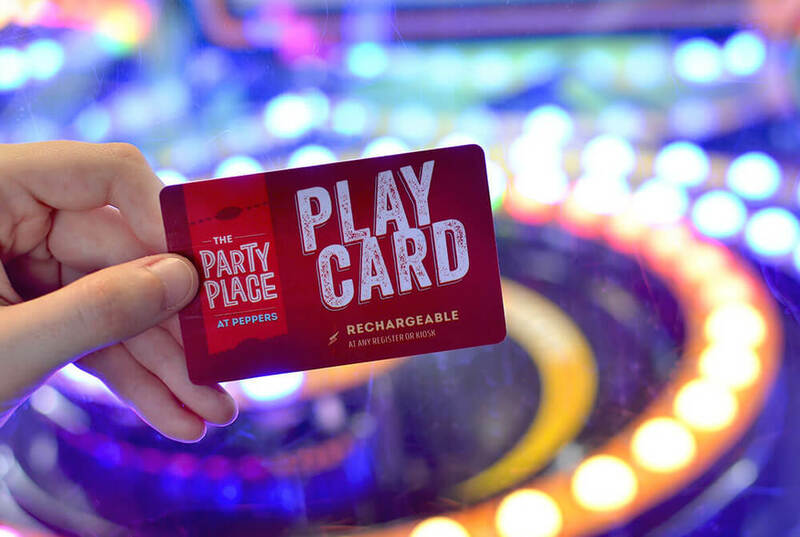 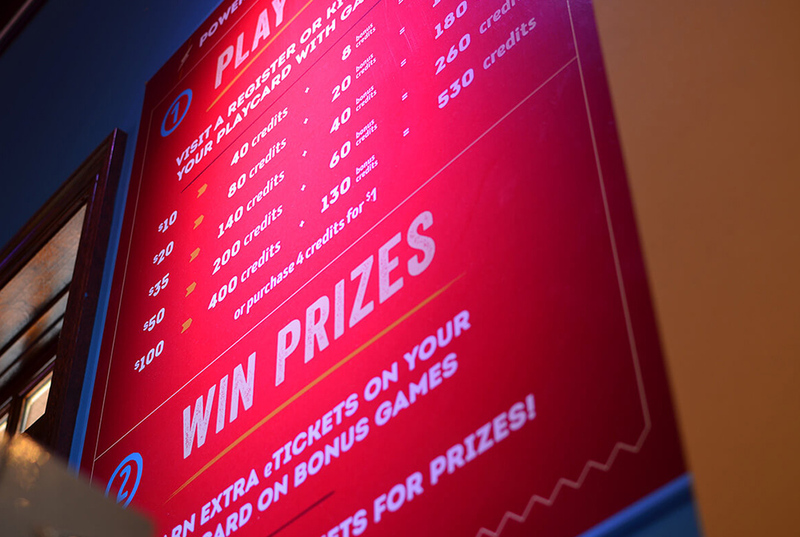 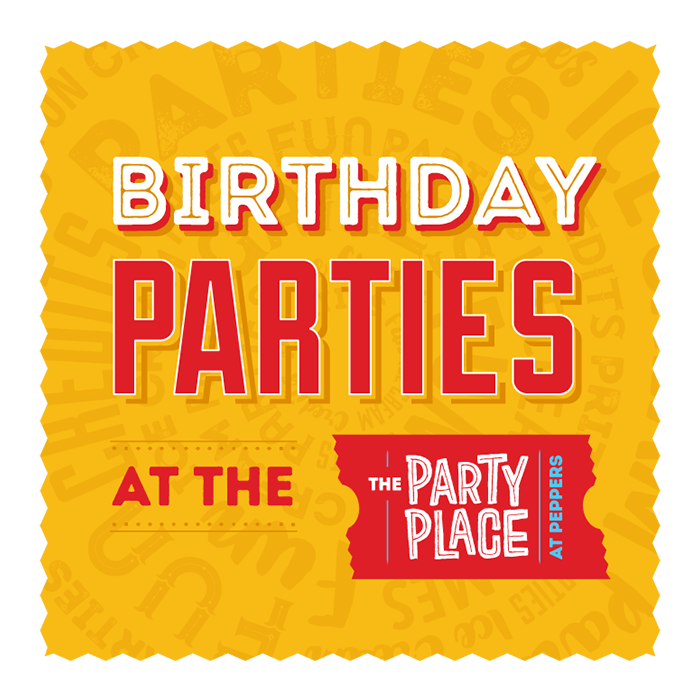 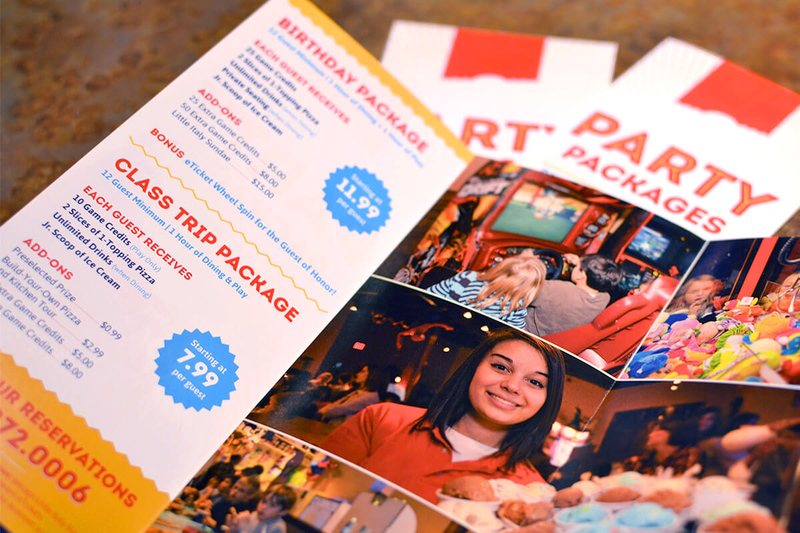 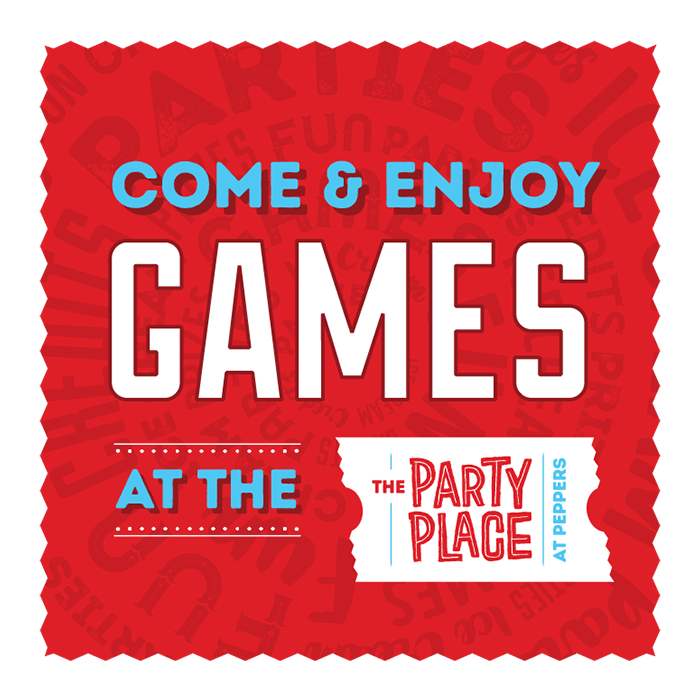 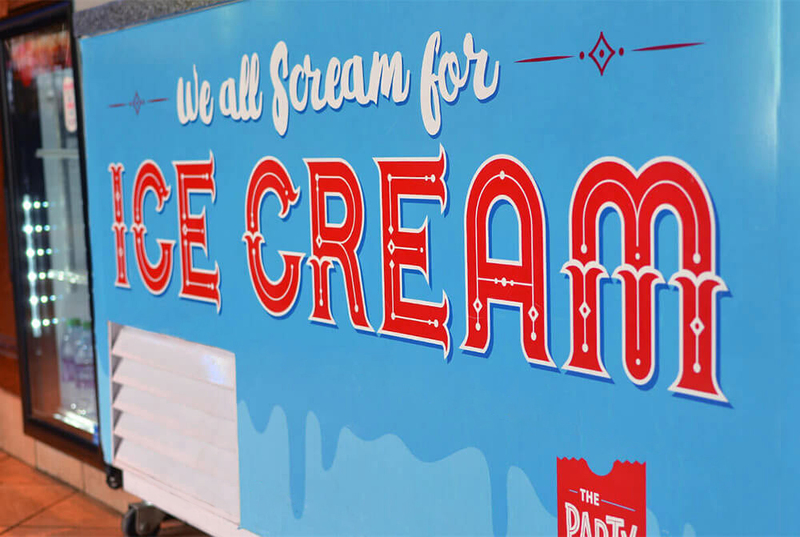 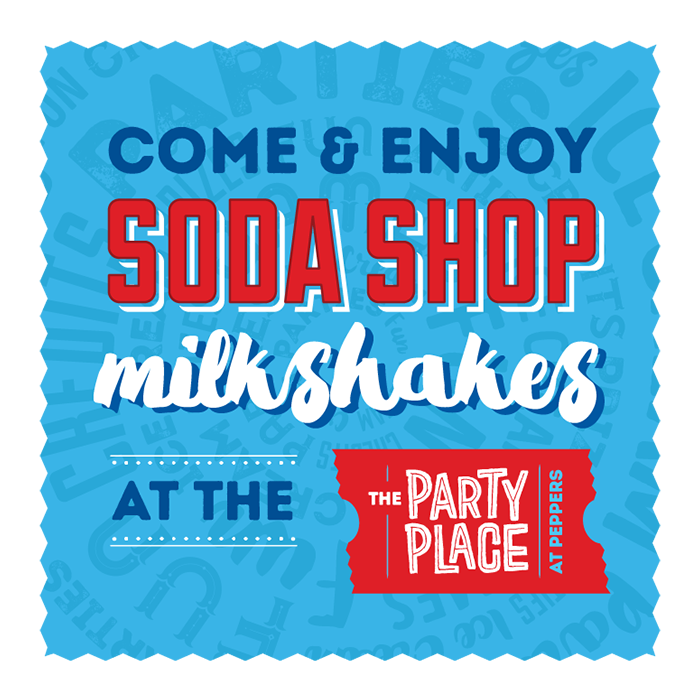 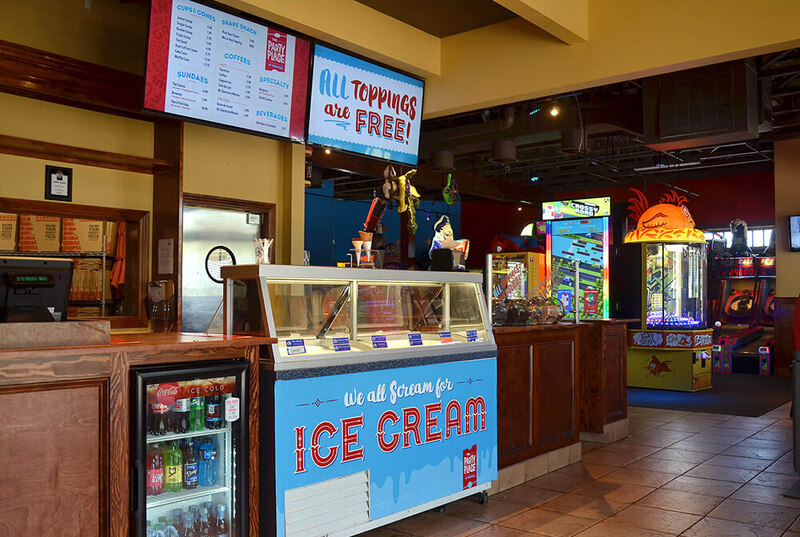 Equal parts pizza party, ice cream parlor, and arcade, The Party Place combines all the entertainment a kid could want under one roof. 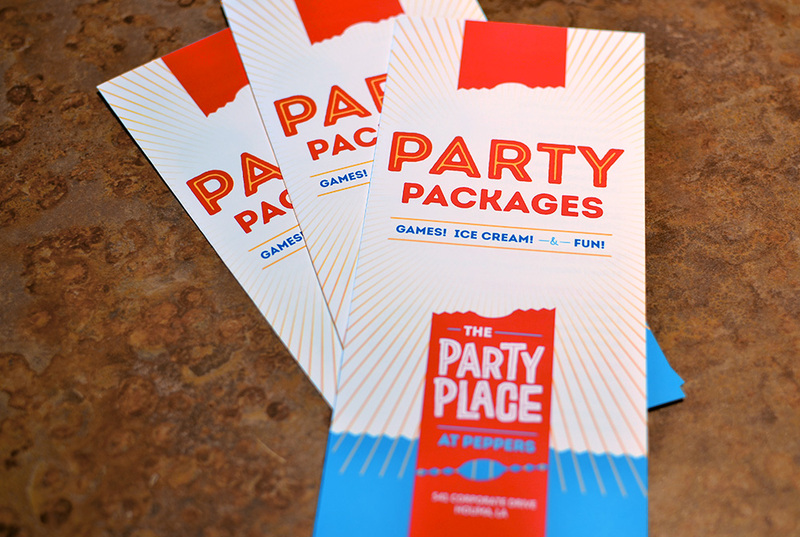 Looking to enliven a brand built around fun and excitement, White Car was tasked with rejuvenating The Party Place brand. 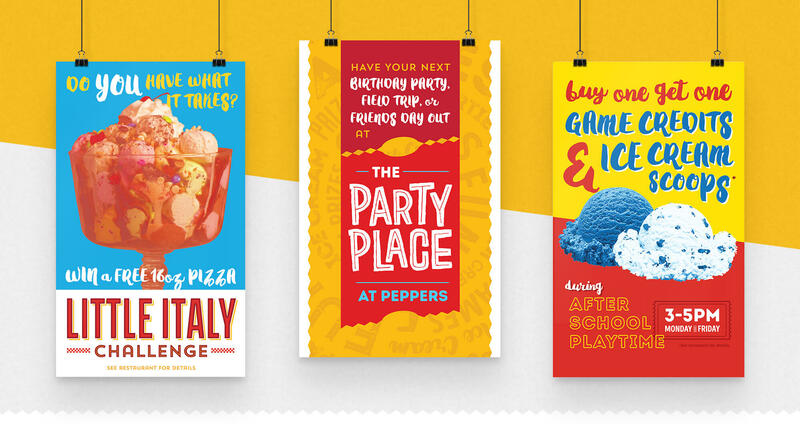 By embracing the spontaneous nature of children, a new system was imagined around Play: mix-and-match typography, vivid, saturated colors and lively patterns, and a whimsical logo whose shape could play out across various layouts and patterns all on its own.